Within the report design editor, click "Add Section", then drill down through "Misc" and select "Cover Page"
Cover pages are included in every report by default. If you've removed your cover page, you can add it again within the report design editor. To do so, click "Add Section". Drill down through "Misc", select "Cover Page", and click "Add Section". 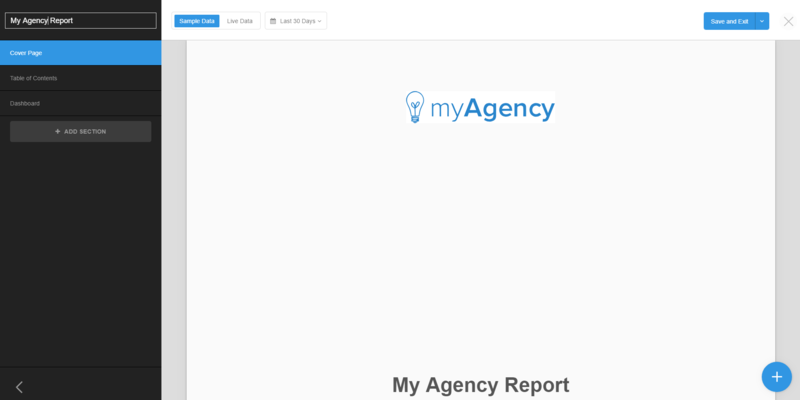 The cover page will then be added to your report.